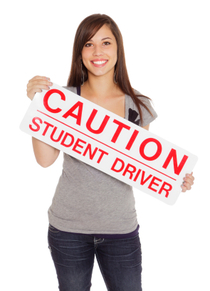 We have dedicated full time driving instructors. Providing driving lessons and simulated driving tests 7 days a week covering all of Auckland and including Northshore . Currently the NZTA Pass Rate for the New Restricted Test in only 40%. "Increase your chance of passing your restricted test "THE FIRST TIME" by running through a simulated mock driving test with us before doing your actual test." Check out our pass rates. Our Driver Educational Training programs and resources will successfully guide you through to your theory and practical driving tests. Check out what our customers say about us and our high first time pass rates on Facebook and Google. Our driving courses will help students to grasp important and often difficult driving concepts and broaden their knowledge of traffic hazard management by participating in our high quality one on one driver training. We closely monitor individual performance and ensure that each student achieve his or her full potential before going solo on the road. Our driving lessons are purposely designed to enhance students understanding and familiarises them with the road code syllabus. We provide insured dual controlled automatic and manual transmission vehicles, for safe stress-free driving lessons and simulated mock learners, restricted and full driving tests. Our cars are insured. While we are acting as your supervisor we are responsible for any personal and / or property damage and any traffic infringements. The vehicles are fitted with dual controlled brakes and accelerators for automatic and with a clutch for manual vehicles. Applies to Class 1 Car automatic and manual driving lessons only (Excludes trucks, trailers and motorcycle lessons). Student will benefit from professional driving instructors and receive immediate feedback that will develop and enhance their driving skills. Our driving instructors are experienced, qualified, highly dedicated and enthusiastic professionals. 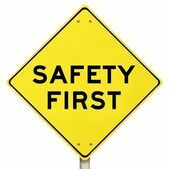 They are fully committed to providing quality driver training that will successfully guide you to be a safer driver on the road. We are a Auckland based driving school and have qualified New Zealand Transport Agency Approved Driving Instructors with years experience, using dual controlled automatic and manual vehicles. Our driving lessons and theory courses are structured to provide a solid foundation in the (GDLS) Graduated Driver Licensing System.